Learning a second language boosts your brain power and can protect against Alzheimer’s disease, scientists say. New research has shown that bilingual people do better in mental challenges and are more skilled at multi-tasking than those who have just one tongue. They also develop symptoms of dementia an average of four or five years later. The researchers who made the discovery say bilingual people are constantly exercising their brains – and that being fluent in two languages serves as a ‘mental gymnasium’. The effects are strongest for people who learnt to speak two languages as children. But the authors say people can still benefit from learning a new language in their 40s or 50s. Linguists once argued that children raised in bilingual homes suffered problems in both languages. But recent studies have shattered that belief – and suggest they do better at key mental skills. Psychologist Dr Judith Kroll, of Penn State University, America, told the American Association for the Advancement of Science meeting: ‘The received wisdom was that bilingualism created confusion, especially in children. The latest studies were carried out at York University in Toronto on 211 Canadians suffering from Alzheimer’s disease. Around half were bilingual; the rest spoke just one language fluently. The bilingual patients had been diagnosed with dementia an average of 4.3 years later – and reported the onset of symptoms 5.1 years later than those who spoke just one language. The groups had similar incomes and social backgrounds – while the monolingual patients actually had a more formal education. Dr Ellen Bialystok, who led the study, said the effect was strongest for people who were fluent in two languages since childhood. However, people who try to master a second language later in life – including in middle age – are likely to get some protection. Bilingual people easily slip in and out of both languages – and are constantly working out which word to use. When they talk to each other they often select the word or phrase from the language that most clearly expresses their thoughts. On the other hand, fluent bilinguals rarely make the mistake of slipping into another language when talking to someone who understands just one language. As a result, they become more practised at multi-tasking – doing two or more things at once. Juggling two languages boosts one of the most important parts of the brain known as the executive control system, said Dr Bialystok. ‘We know that this system deteriorates with age but we have found that at every stage of life it functions better in bilinguals,’ she said. ‘They perform at a higher level. It won’t stop you getting Alzheimer’s disease but they can cope with the disease for longer. ‘Switching between languages is a stimulating activity – it is like carrying out brain exercises which builds up higher levels of what we call brain or cognitive reserve. Learning a language at school – and continuing to practice it – could also be useful. She added: ‘It works best for people who speak two languages every day like immigrants moving to a new country who speak their own language at home. 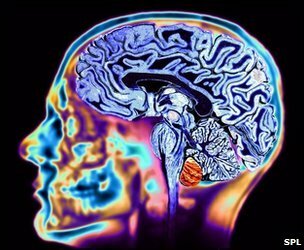 Further research, which is due to be published later this year by Dr Bialystok, suggests that using two languages may change the structure of the brain. However, the boosted brain power does not make bilinguals more intelligent or better learners. By worldchoiceeducation in Student Advice on July 4, 2013 . I guess, that learning a second or third language creates new connections in your brain. Therefore, if you lose other connections due to diseases you can compensate those. Though, I do not understand how practice can be useful. Any kind of repetition is boring for the brain, and thus changing your routine is by far better….